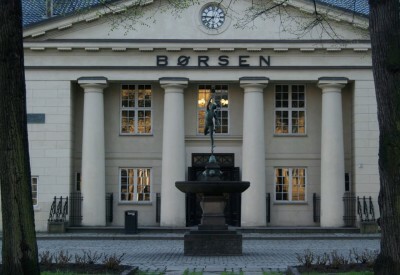 Oslo’s small but strong stock exchange known as Børsen has attracted another prospective buyer. Now it’s US-based NASDAQ, billed as the second-largest stock market in the world, that’s making an offer the Oslo exchange’s board can’t seem to refuse. It follows an offer made by the European stock exchange Euronext just before Christmas, and sweetens it by NOK 7 per share. “We think the offer from NASDAQ is on the whole so much better for the Norwegian capital market, and for Norwegian companies, that it gets unanimous support from our entire board and management,” Bente Landsnes, chief executive of Oslo Børs VPS, said at a press conference Wednesday morning. Euronext had offered NOK 145 per share and gained control of 50.5 percent of the shares in Oslo Børs VPS. NASDAQ, meanwhile, has won acceptance from shareholders controlling 35.11 percent of the shares. The chief executive of NASDAQ’s Nordic division, Lauri Rosendahl, said it had worked “intensively” to make a competing offer. US-based NASDAQ itself is rooted in providing a market for “over the counter” shares of small companies. Landsnes noted that Norway itself is “a small country in the world,” adding that Norwegian companies will have “more visibility” on a Nordic platform than on a larger European platform. There’s also the possibility of merging the Oslo Stock Exchange with Nasdaq Commodities, which already is operating in Oslo. NASDAQ’s formal bid is expected in early February. It’s already been accepted by DNB, Norway’s biggest bank, and by pension fund KLP. NASDAQ’s interest in the Oslo Stock Exchange was viewed positively by many. Even though Euronext already has a majority of shares, it may sell off its stake. Oslo Børs itself is a private company and not a public institution, making it possible for it to be bought and sold. Among its undervalued assets is its classic headquarters building that dates from the early 1800s and is subject to historic preservation. It’s surrounded by a park that sits on what’s become highly valuable real estate near Oslo’s redeveloped eastern waterfront.